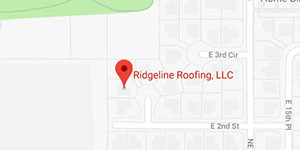 Get professional roofing done by a trusted roofing company you can count on. As a locally owned business, integrity and honesty are essential qualities in our work. Our incredible roofing team always puts you first and makes sure you’re satisfied. It’s not a fun time when your roof stops working properly. But you can go and have fun while our roofing contractors come to Central Park to fix it up! As the neighborhood is older than Washington State itself, nearly all of it has been developed, meaning that there’s plenty to do. One of the most popular areas of recreation is the Marshall Center. Located right next to the Vancouver WA Parks & Recreation building, the Marshall Center has something for everyone. They have a pool, fitness center, gymnasium, and plenty of other places to go and spend the day. It’s also a common place for day camps during school breaks so kids can have something interesting and enriching to do during their off time. The Nursing program in particular is extremely popular, as it is accredited by the ACEN and is the only such program nearby. But just because it’s the only choice doesn’t mean it’s poor quality. Smart mannequins allow future nurses to deal with complex medical conditions without a real body at risk, with the mannequin simulating an actual human’s response; it even breathes and has a heartbeat! With that kind of technology, it’s no wonder students come here from all over!